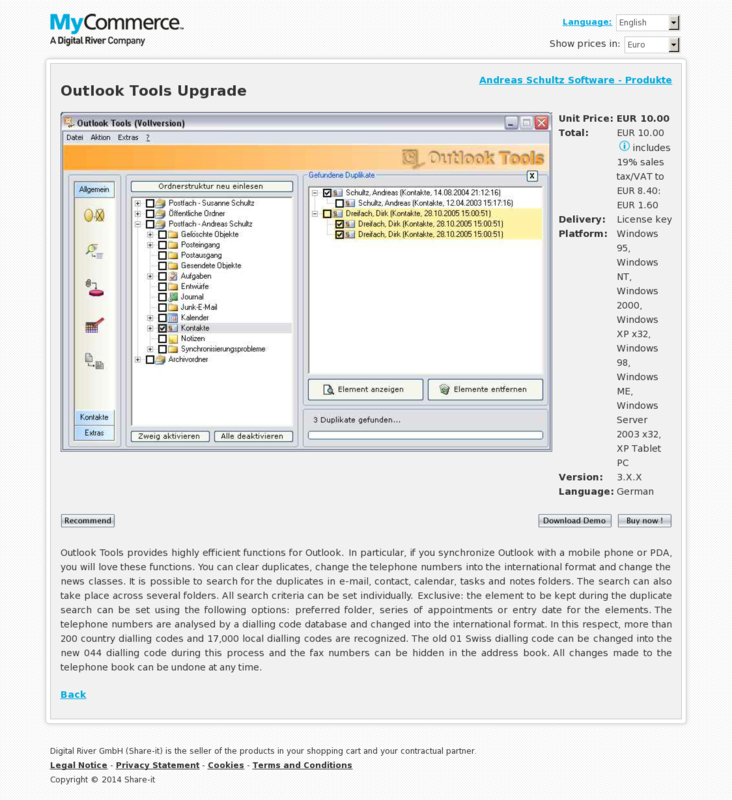 Outlook Tools provides highly efficient functions for Outlook. In particular, if you synchronize Outlook with a mobile phone or PDA, you will love these functions. You can clear duplicates, change the telephone numbers into the international format and change the news classes. It is possible to search for the duplicates in e-mail, contact, calendar, tasks and notes folders. The search can also take place across several folders. All search criteria can be set individually. Exclusive: the element to be kept during the duplicate search can be set using the following options: preferred folder, series of appointments or entry date for the elements. The telephone numbers are analysed by a dialling code database and changed into the international format. In this respect, more than 200 country dialling codes and 17,000 local dialling codes are recognized. The old 01 Swiss dialling code can be changed into the new 044 dialling code during this process and the fax numbers can be hidden in the address book. All changes made to the telephone book can be undone at any time.